As the weather gets colder and we start to see frosty mornings, please be aware of the dangers of antifreeze! Antifreeze has a sweet taste that can be appealing to pets but if ingested can cause severe toxicity that causes the kidneys to shut down and death can quickly occur. Symptoms include vomiting, diarrhoea, convulsions and collapse. So keep products well out of the way and if spilled, make sure it is washed away with lots of water. 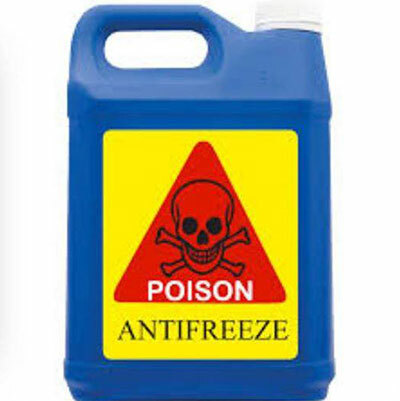 If you suspect your pet may have had access to antifreeze, please contact us immediately.